Though we may be just a little biased, the TV/Video Production competitors were our favorites out of all the technical career students at this year’s SkillsUSA National Leadership and Skills Conference! The inventiveness and determination of Javier Brionez & Todd Mueller of Fairfax Academy and Micah Powell & Nathan Powell of Chattahoochee Technical College earned them Gold in the Video Production Competitions in the High School and Collegiate divisions. Congratulations to them and their schools for the recognition of such hard work! 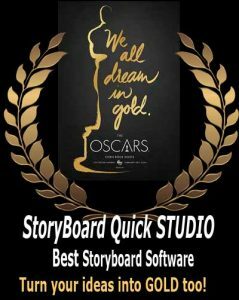 Everyone was a winner in our eyes, of course, since they all used StoryBoard Quick storyboard software! Grata to the winners! I’d love to see their winning video production!